Aldridge Gardens is the perfect backdrop to celebrate a special event in your life or in the life of a loved one. The Art Gallery and Museum provide a spectacular view of the 5-acre lake and will accommodate up to 100 in the house and up to 150 if the patio is used. 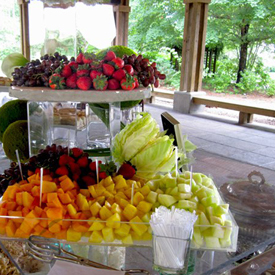 The Pavilion offers a wonderful outdoor garden feeling and will accommodate up to 200. 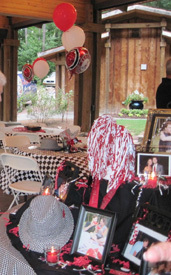 At Aldridge Gardens, we want to help make your day unique and unforgettable! We understand how important it is to secure the right venue.